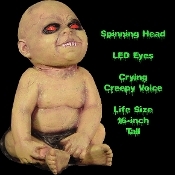 Life Size ANIMATED SEVERED HEAD DETACHED SKELETON SKULL Gothic Creepy Halloween Prop Decoration. 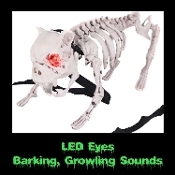 LED Light up eyes flash saying several creepy Halloween haunt phrases in a spooky voice. 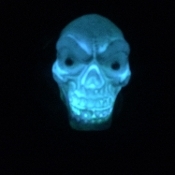 'There's something spooky out tonight, and I think it is you... 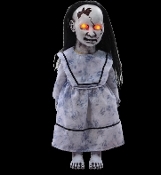 Mu-ooh-aah-aah-aah! 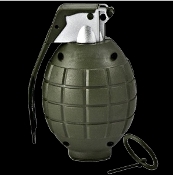 ', etc. 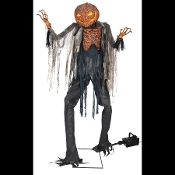 Huge LIFE SIZE Animated Realistic rustic design scary toy prop Chainsaw cosplay costume weapon. 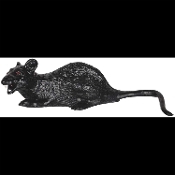 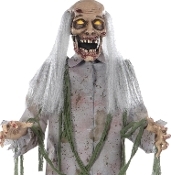 Ghoulish zombie hunter monster slayer serial killer horror costume accessory. 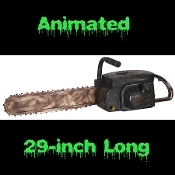 Aged Black Fake old rusty-look faux plastic blade rotates with realistic chainsaw sound! 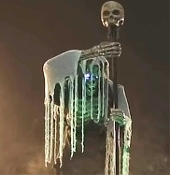 29-inch long. 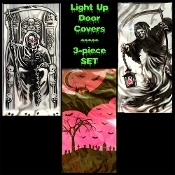 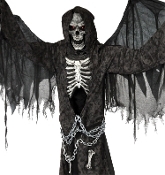 New Deluxe Scary Animated Talking Zombie Winged Grim Reaper-LIFE SIZE ANIMATED ANGEL OF DEATH-Glowing Eyes-Wings Move-Spooky Sound Motion Activated Animatronics Creepy Halloween Haunted House Horror Prop Decoration-Proudly displays the bones of some of his favorite victims! 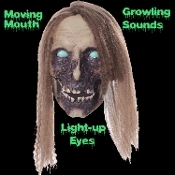 Animated Halloween Prop Special Effects BILIOUS ZOMBIE CORPSE GHOUL Fog Machine Cover Accessory. 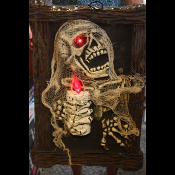 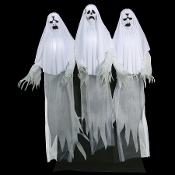 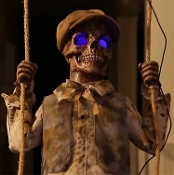 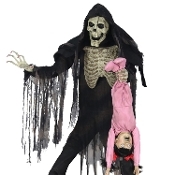 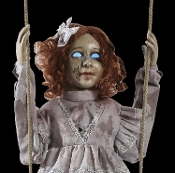 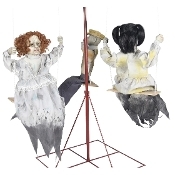 Scary Life Size Carnival Cemetery Graveyard Haunted House Ground Breaker Decoration works with your fogger machine.